There are many misconceptions about smart meters and sub-metering. Smart Grid's "Myths vs. Facts: The Truth About Smart Meters" separates consumer concerns and myths from what the real facts are. A smart meter can give visibility to inefficient use of energy within a facility or building, allowing for the user to save money. With new technology on the rise to support energy conservation, Setra has developed their own smart meter, the Power Patrol. 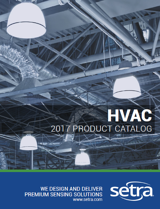 The Power Patrol's features put these myths to rest with it's wide range of applications, ability to meet ANSI 12.2 Standards for Revenue Grade Requirements, and it's connectivity through Rogowski Coils. 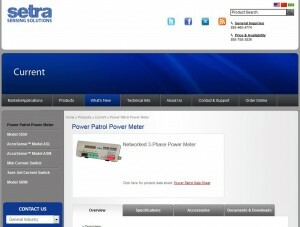 CLICK HERE for an overview of the Power Patrol's features and technical data.